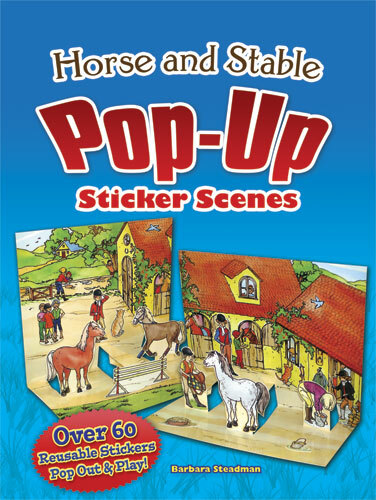 Offering a creative combination of stickers and pop-up play, this book features a full-color stable setting on the inside covers plus an additional, removable spread that can be used to create two pop-up scenes complete with tabs for attaching the stickers. Kids can decorate all three with more than 60 reusable stickers of young riders, grooms, horses, and more. Barbara Steadman.